Yesterday, before 10 a.m. PST, UPS delivered a package from Leica Store Miami containing the M (Typ 262) digital camera, Summarit-M 50mm f/2.4 lens, limited-edition Oberwerth bag, and two SD card holders—one black, the other cognac. My main interest is the rangefinder and 50mm glass. The Oberwerth Set, if you can still find it, is entry into the M system for essentially the lens free with cost of the camera. The Miami shop sent the last kit available, at least presently. With no immediate plans to part with my beloved Leica Q, I will expand my photographic horizons by reducing technology. While the M262 is full frame, the camera also is in many respects no frills. There is no autofocus, live view, wired ports, or wireless connectivity. I’ll be screwing off the bottom plate to remove the storage card to transfer photos to my MacBook Pro. The menu system is two main pages plus one. The M262 is all about manual settings from dials, except ISO, which I typically leave on auto anyway. Over the past couple weeks, I read M262 reviews from professionals and owners, and the consensus is fewer features mean less distractions and more attention to the main purpose: photography. Sometime soon, I will share sentiments of my own. We shall see if I agree with the assessment or decide that less really is less. Someone correct me if mistaken. Rangefinder photography is all about precision: Manual focus and composition. For both, particularly the focusing mechanism, I will need to practice. 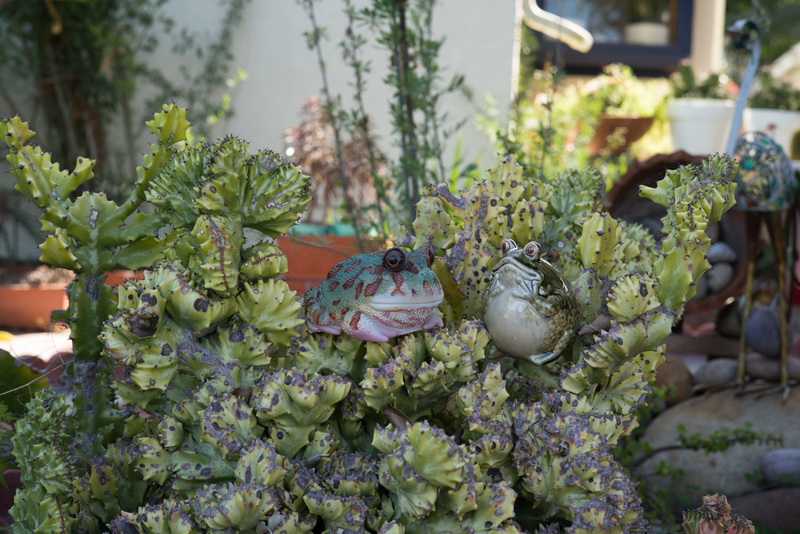 As part of that process, I shot the Featured Image at 10:23 a.m. today; the froggies are in somebody’s yard on Mississippi Street here in San Diego’s University Heights East neighborhood. Damn. I keep knocking the aperture ring when fiddling with the focus. As such, vitals: f/6.8, ISO 200, 1/125 sec, 50mm. BTW, the latter doesn’t show up in the metadata. Additionally, the pic, presented as shot, is 5976 × 3992, not the 6000 x 4000 that I expected. Huh? 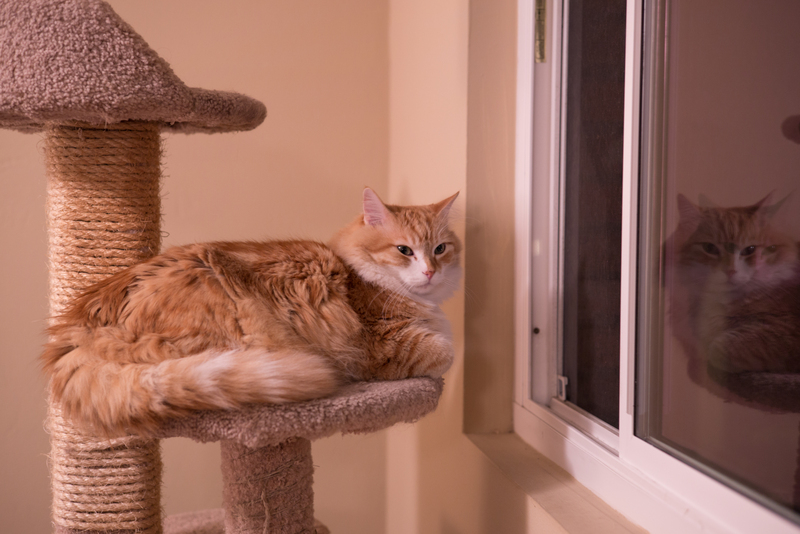 The second photo is the first captured with the camera, of Neko on his cat tree. I slightly cropped, also tweaking tint and white balance, in Adobe Lightroom Classic CC. Metadata is messed up because I forgot to change date (from March 2008) and time on the camera before using it. I captured the moment around 7:35 p.m. last evening. Vitals: f/3.4, ISO 800, 1/15 sec, 50mm; hehe, the latter is recorded in the metadata. The final portrait was unexpected. As Cali looked out the window, from my desk, I practiced manual focusing on her ear. When the shutter clicked, she turned around, and I caught that moment, too. The metering system is rather, ah, basic on the M262, which might explain why in the original photo her face is almost entirely blacked out. I let Lightroom auto-correct the DNG RAW file. Vitals: f/6.8, ISO 200, 1/60 sec, 50mm; 9:21 a.m., today. I am accustomed to Leica Q’s leaf shutter, which is nearly silent. There being noticeable noise is something that I will need to remember as the M262 and I become more acquainted. That said, I find the shutter sound surprisingly sweet; it’s delightfully pleasing. I bought another hardgraft Hang Camera Strap to use with the M262, which is heftier than imagined but slings around my back more comfortably than any other shooter—and that includes my beloved Q. For now, when I need autofocus or wider aperture, Leica Q will do with its 28mm f/1.7 Summilux lens. Meanwhile, I have the 50mm for the M262—but also another: (Used) Leica Macro-Elmar-M 90mm f/4 with Macro-Adapter-M and Angle VF × 1. The three focal lengths—28, 50, and 90—should satisfy street shooting needs, and there is a Macro option, too. I am planning on shooting several upcoming events. So, please, excuse me. 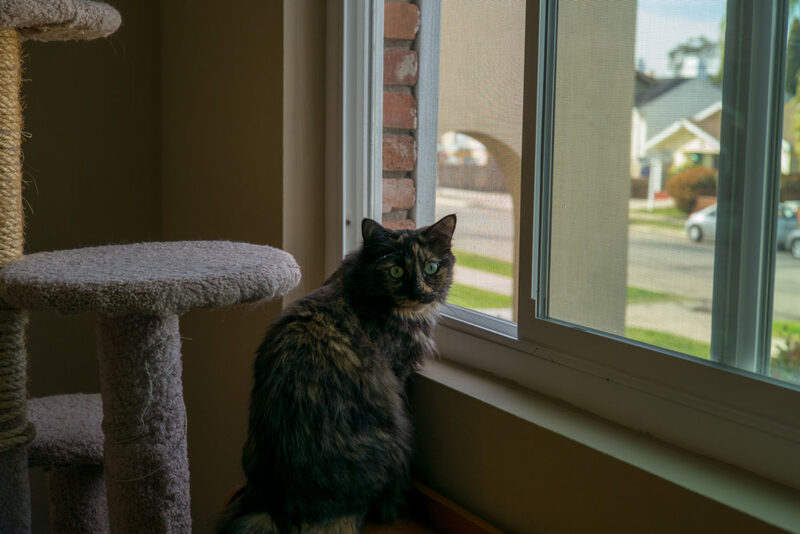 It’s manual focusing practice!